A memorial service will be held at 1 p.m. on Saturday, February 9th at Rose City Funeral Home, 5625 N.E. Fremont St. in Portland for Mrs. Thiel who passed away February 3, 2019. She was 78 years old. Donna was born April 21, 1940 in Forsyth, Montana. She was the youngest of four children born to Budd and Doris (Bott) Neill. The family moved to Livingston in 1943, where Donna was raised. As her dad went to work with the Pacific Railroad, her mother worked for the Murray Hotel and Café. Donna’s best friend was her mother, so she often did her homework while visiting her mom at work. She graduated from Park County High School, class of 1958. Donna moved to Helena to work for the State and married her high school beau, Fred Reeves. They had two children together before parting ways. While visiting her sister in Clyde Park, Donna caught the eye of a young man named Bill. She was moving out to Portland with her two kids, but Bill followed his heart and her out west. They were married in 1972 and then added two more children to the family. She worked as a bookkeeper for Miller Jewelry Company, before deciding to spend her time taking care of the children and home. She was known by all the kids in the neighborhood for decorating the house every holiday, and baking the best cookies. Donna loved to read, work on crossword puzzles, watch her soap operas, and listen to her beloved Waylon Jennings. 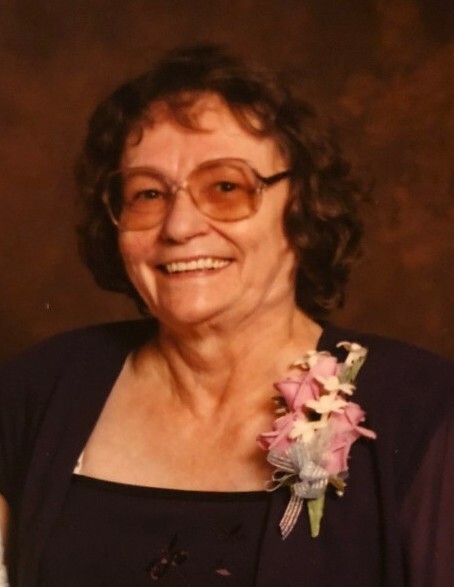 She treasured supporting her kids, and eventually grandkids, in all their activities, from Cub Scouts to basketball, to soccer, to the baseball and softball fields. Although she loved the home she had made in Portland, she cherished her annual trips back to Montana to visit family and friends. Donna enjoyed road trips to Arizona for spring training and visiting National Parks in the western United States. Donna is survived by her husband of 46 years, Bill Thiel. Her sister: Peggy Barnekoff. Her children: Scott Reeves (Deanna), Kathy Arias (David), Neill Thiel, and Amy Surina (Mike). Grandchildren: David Arias III, Amanda Marchant, Christopher and Mitchell Arias, Hayley Thiel, Kelley and Kim Reeves, Grace and Cy Surina, and Finn McElroy. One great-grandchild and numerous nieces and nephews. She was preceded in death by her parents, brother Jim Neill, and sister Polly Amunrud. Memorial contributions may be made in Donna’s name to the American Heart Association or a charity of your choice.